Thank you for your interest in obtaining a personal loan from HomeTrust Bank. Please complete the form below and submit it. 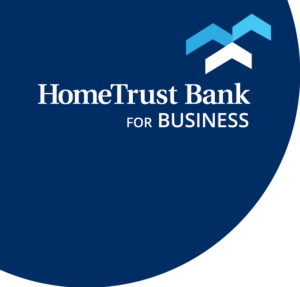 A HomeTrust Bank lender will be in touch with you within one business day. Select OneArdenAsheville - DowntownAsheville - EastAsheville - SouthCaryCharlotteCherryvilleClydeColumbusEdenForest CityHendersonvilleLexingtonReidsvilleShelbyTryonWaynesvilleWeavervilleWinston-SalemI'm not near any of these. Select OnePelham RoadWoodruff RoadI'm not near any of these. Select OneBristol - State StreetJefferson CityJohnson City - MainJohnson City - Med Tech ParkwayJohnson City - West WalnutKingsport - Broad StreetKingsport - East Stone DriveKnoxville - BeardenKnoxville - FarragutMorristown - MainMorristown - Merchants GreeneI'm not near any of these. Select OneBristol - State StreetDalevilleDanville - North DanvilleDanville - Riverside DriveMartinsvilleRoanoke - Brambleton AvenueRoanoke - CrossroadsRoanoke - DowntownRoanoke - StarkeyVintonI'm not near any of these.